You know how to design, but how to design your instruction or your class sessions isn’t something that comes second-nature to you. How did you learn to teach? Where did you learn how to put together a lecture or lesson plan? Do you know which teaching strategies and approaches to learning are the most successful? Yup, most of us teach in a similar fashion that we learned— we put together materials, use trial and error as our testing tool, and we try new things when we think of them. In many ways, it seems like we’re all alone! If you have access to an Instructional Designer at your school, make good use of their services. An instructional designer can help craft your approach to teaching and can be invaluable to delivering memorable and effective training. 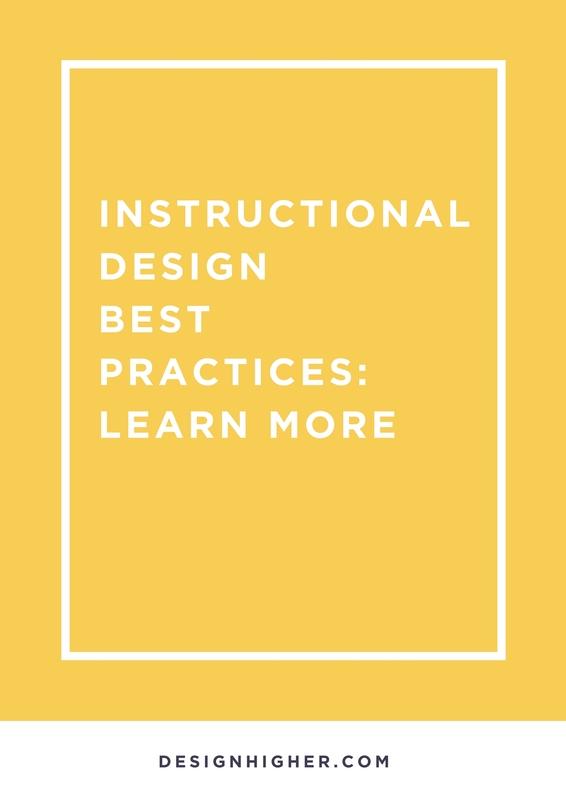 If you don’t have access to an Instructional Designer, let’s talk about how you can learn more about best practices and consider working with an instructional designer. So what is instructional design? Instructional Design is the practice of increasing the effectiveness, efficiency, and appeal of instruction and other learning experiences. 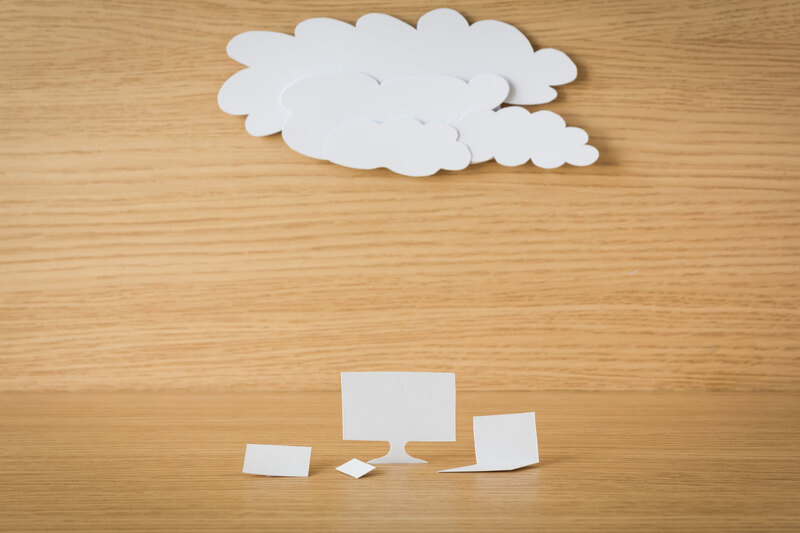 Look to an instructional designer as a partner who can help you brainstorm your course and make it more effective! Most Instructional Designers have an M.A. in Education, Educational Technology, Curriculum and Instruction, Training and Instruction or some such related area and are employed in colleges and universities. They are not experts in your field (you are!) but they can help you create a more successful course with better student success. 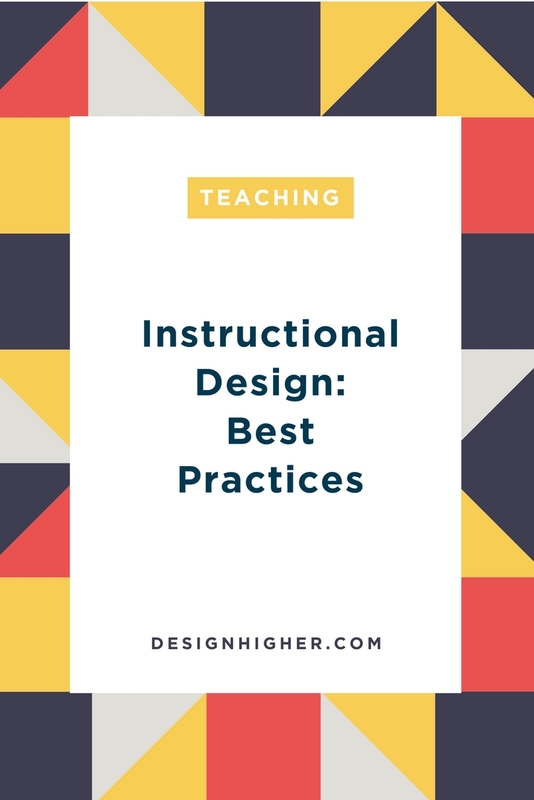 Instructional design not only helps with courses taught online, incorporating the help of an instructional designer can help improve all your classes. Below are a couple top instructional design models. I found these models very helpful when developing my courses, and you may too! Describe the goal — Establish the expected outcomes and criteria for measuring achievement. Stimulate recall of prior learning —Leverage existing and previous knowledge before introducing new knowledge and building on it. Present the material to be learned — Deliver the content in easily consumable chunks. 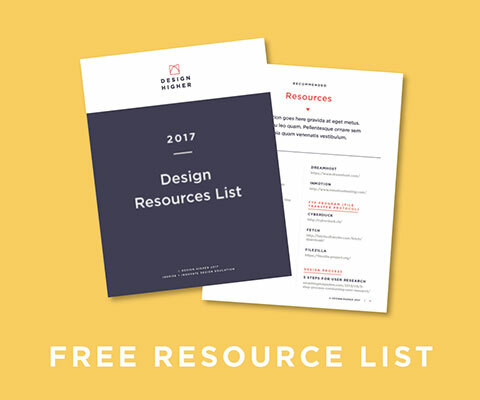 Provide guidance — Guide them with examples, case studies, and other instructional support to supplement the content. Create the proper scaffolding to support their learning. Elicit performance practice (and independence) — Engage them with different activities that recall, utilize, and evaluate knowledge. Require level of independence. Assess performance —Test their knowledge with established (and transparent) criteria. Be sure to assess the expected outcomes from the goals described in #2. Some of you may feel you have it covered, but if you’re new to teaching or if you’ve been doing this for a while, your students deserve the opportunity to have the best class ever. Ask for help! There is nothing wrong with reaching out. Self-evaluation. How can you improve the course? Student evaluation. Do you require your students to complete an evaluation of the course at the end of the semester? Start doing this now! Meet with an instructional designer, if you have one. 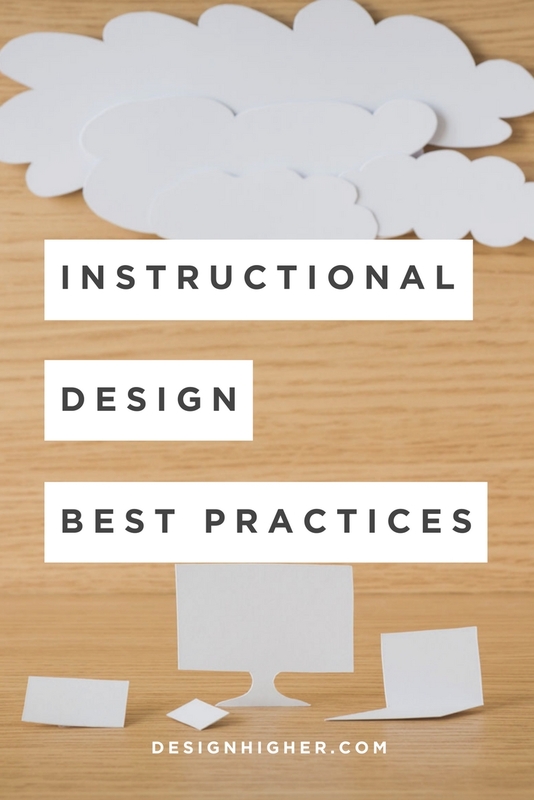 Okay, get started on incorporating these best practices for instructional design. What are your experiences with instructional design? 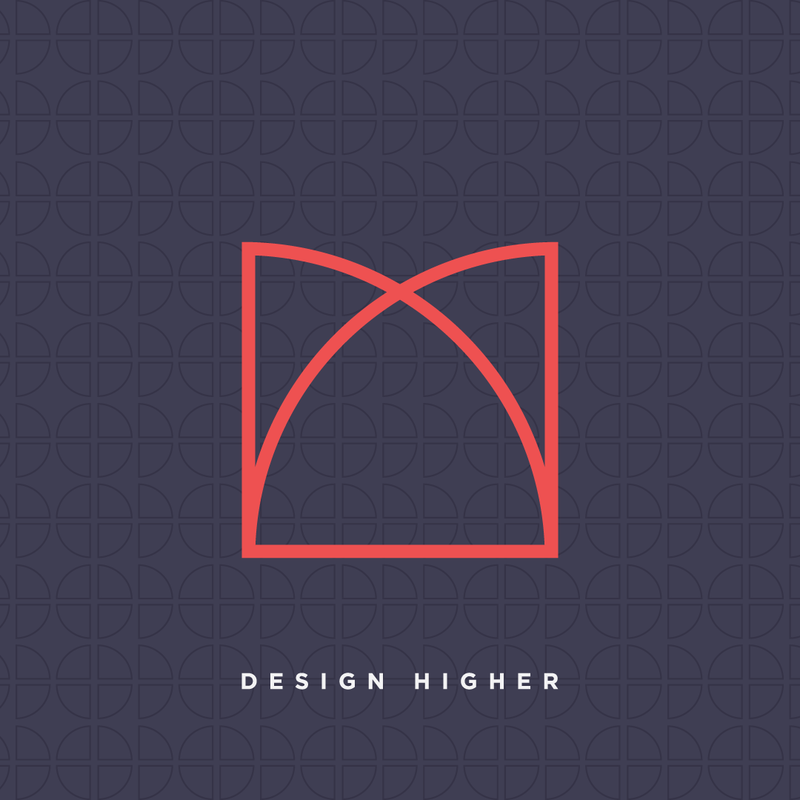 Leave a comment — Let’s talk instructional design! Thanks for the heads up on this Justin. Will definitely check this out! !